It's not every day that Erie gets a circus sideshow. 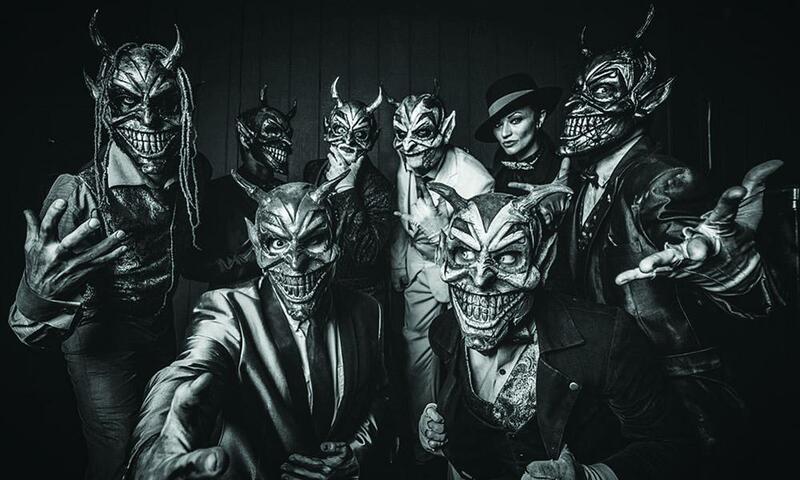 This March, alternative metal mask-bearers Mushroomhead return to Basement Transmissions accompanied by Hellzapoppin, the one-of-a-kind traveling sideshow whose credits include Bob Dylan, Snoop Dogg, and Kings of Leon alongside hundreds more. "Mushroomhead has played Erie several times in the past," says Sam Edwards, general manager of Basement Transmissions. "Although a lot of these bands are growing into bigger markets, keeping a positive relationship with tour managers and booking agents helps to get a band back to the area. I should note that Bev from [the recently closed] Sherlock's helped us reach out for this run of the tour; she still has a love for music and I'm glad we have other helping hands around town to bounce ideas back and forth." Joining the Madness & Mayhem Tour are Mushroomhead affiliates VentanA, the Los Angeles based Worldwide Panic, and two locals, Brotherhood of the Jam and Never to Suffer. Mushroomhead previously played at Basement Transmissions in 2015 to support their most recent studio album, The Righteous & The Butterfly, and Erie fans can't wait to hear what the band has in store this time.